Uncle Mahmoud is my father’s youngest brother. 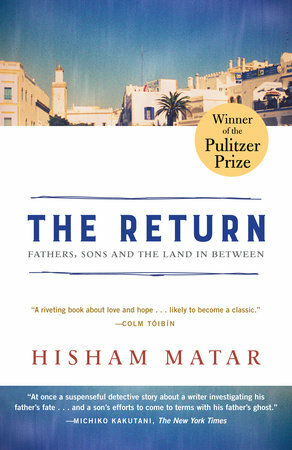 My father was born in 1939, Mahmoud in 1955. In old photographs, Father is serious and poised, well groomed even in his youth; Uncle Mahmoud has the long hair of the 1960s and ‘70s, a smile always lurking. Father was born into a Libya ruled by Benito Mussolini. He was four in 1943, when the Italo-German armies were defeated in North Africa and Libya fell to the British and the French. On the 24th of December 1951, when, under King Idris, Libya gained its independence, Father was twelve years old. Uncle Mahmoud was born four years later. In 1969, the year of Qaddafi’s coup, Father was thirty, and Uncle Mahmoud fourteen. Mahmoud seemed both uncle and brother to Ziad and me, a rare ally with an insider’s knowledge of adulthood. When Father resigned from the diplomatic corps in New York and we moved back to Tripoli, Uncle Mahmoud came and stayed with us. He loved Voltaire and Russian novels. He had a dreamy sensibility and would often forget to turn the stove off. Unlike all the other adults, he never turned down my appeals to go out to the garden, even after lunch, when the sun was merciless and the household napped. We played football or sat in the shade of the eucalyptus trees. I knew that his love for me was uncomplicated and unequivocal, and knowing this felt like a great freedom. In our exile years, Father would often tell me that I reminded him of his little brother. In the same week in March 1990 that my father was kidnapped, Libyan secret service agents drove to Uncle Mahmoud’s home in Ajdabiya. Other officials went to Hmad Khanfore, my uncle through marriage, and to my paternal aunt’s sons, cousins Ali and Saleh Eshnayquet. All four men were arrested. They belonged to one of the underground cells that my father’s organization had set up inside the country. The arrests were so well coordinated that every man captured believed the others were still free. Each assumed that he was the only one being interrogated and tortured. In January 2011, as the Tunisian and Egyptian revolutions unfolded, the Libyan dictatorship grew anxious. Wanting to appease popular discontent, it let out some political prisoners. I became hopeful. The public campaign for the release of my father and relatives, which I had started a couple of years earlier, went into full gear. On the 3rd of February of that year, and after twenty-one years of imprisonment, all except for my father were set free. Fourteen days later, bolstered by the successful overthrows of the Tunisian and Egyptian dictators, a popular uprising exploded across Libya.